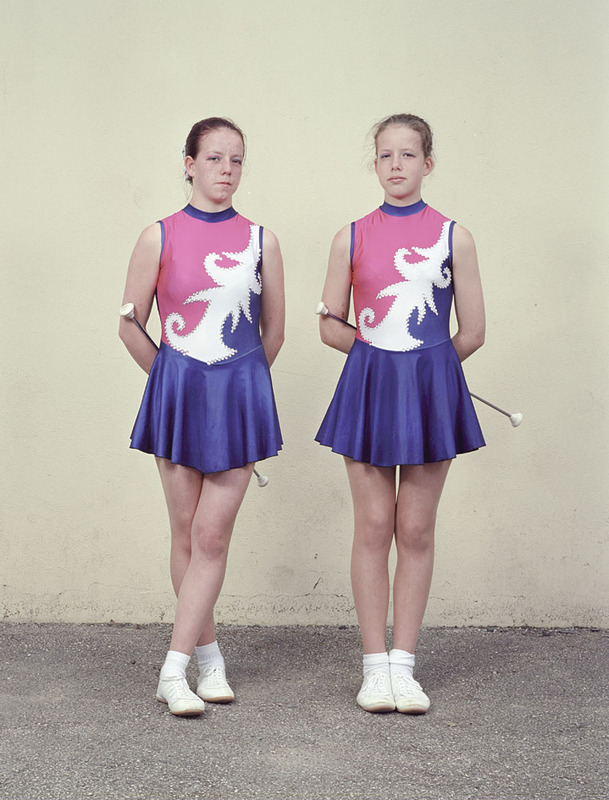 When he began the Majorettes series in 2000, Charles Fréger never suspected that it would take him to so many small towns and villages in the northern region of France. 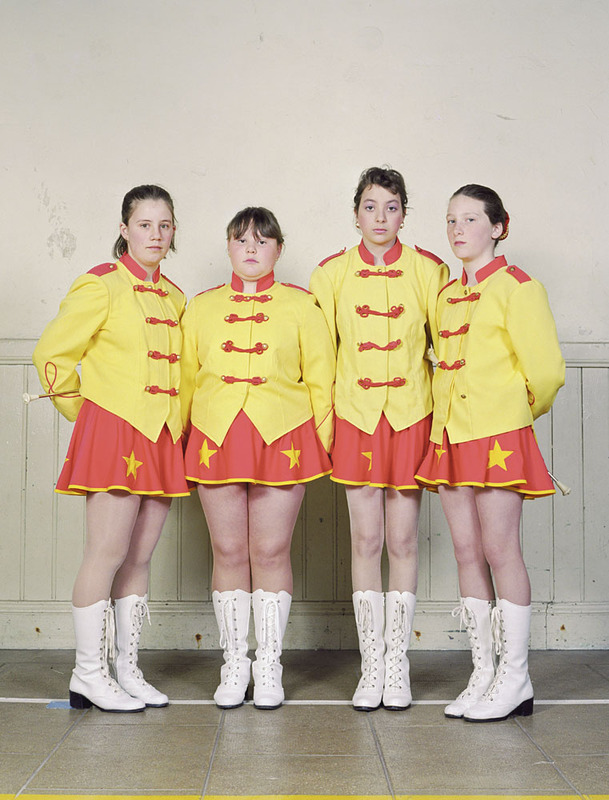 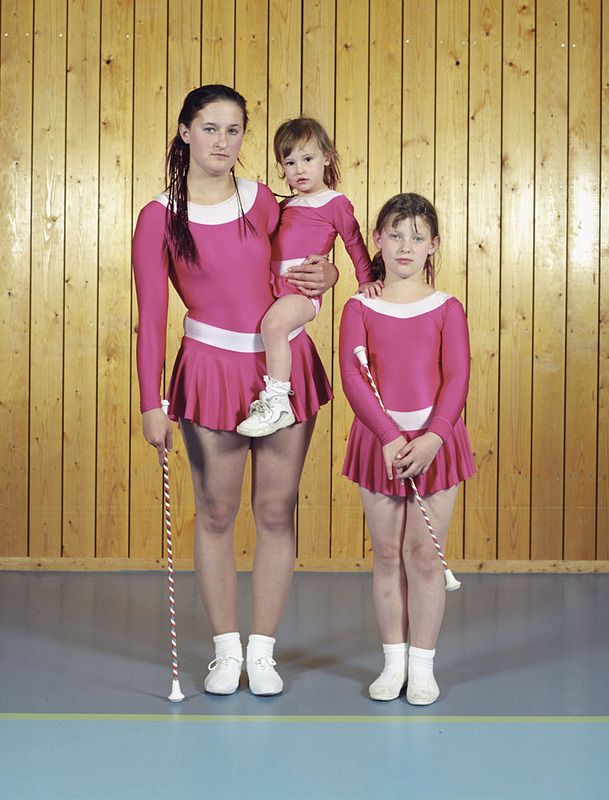 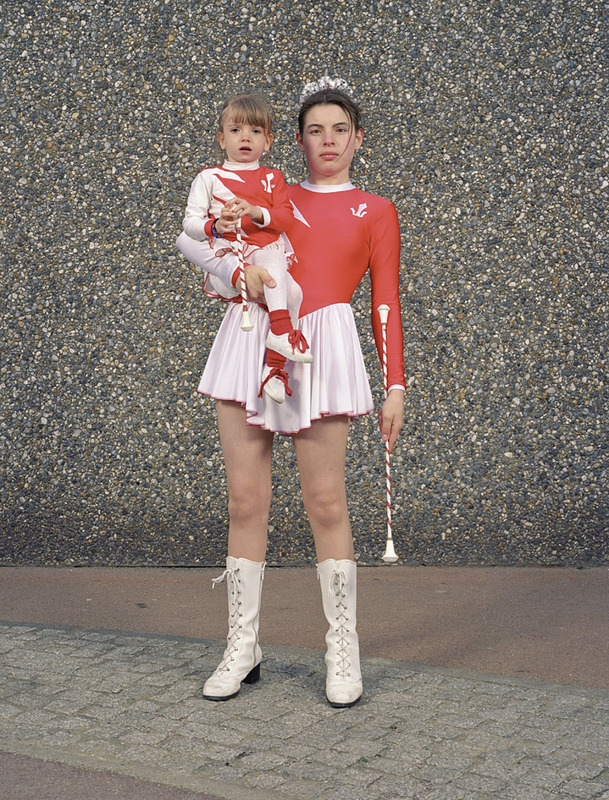 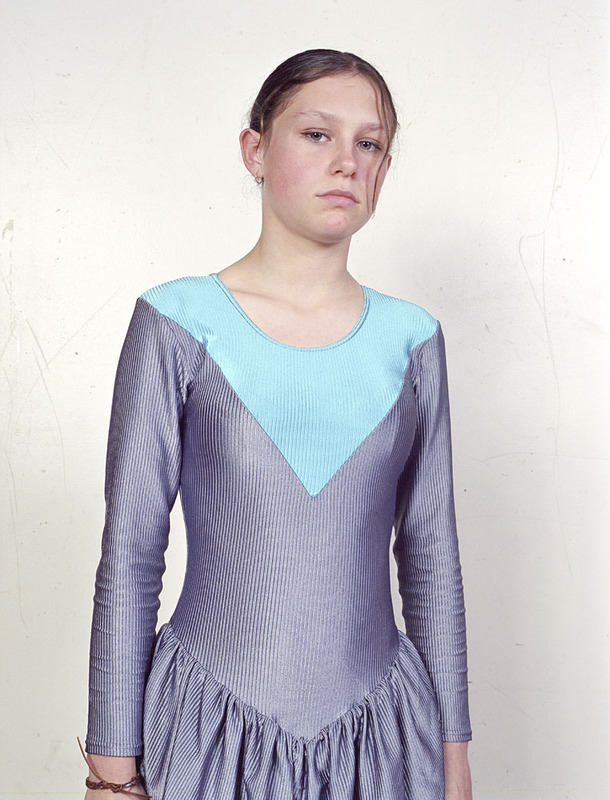 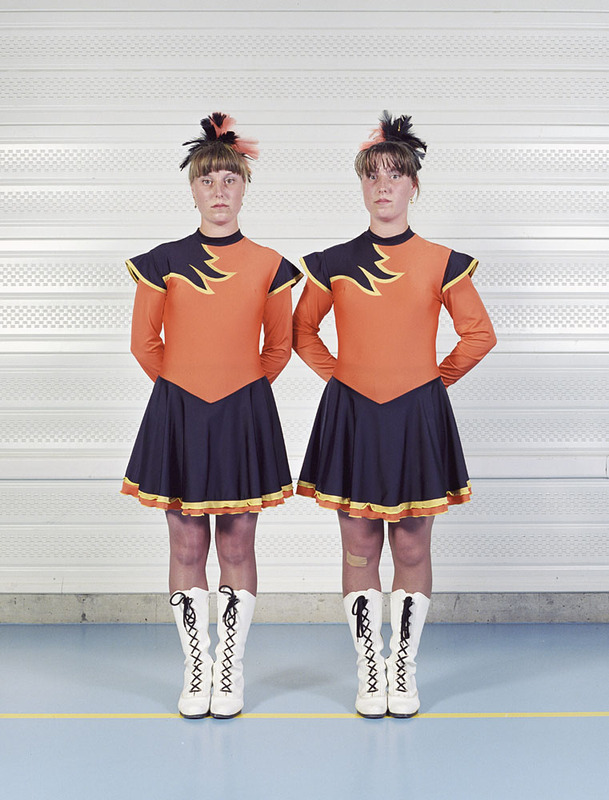 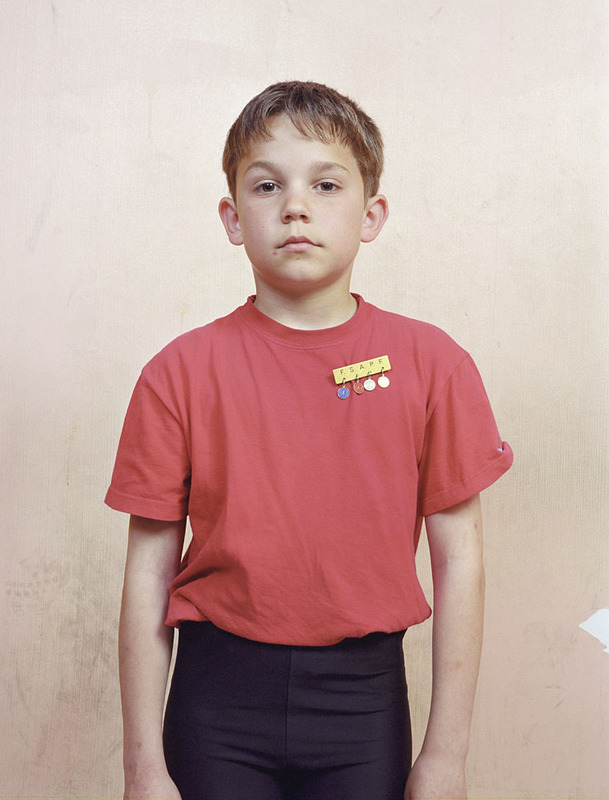 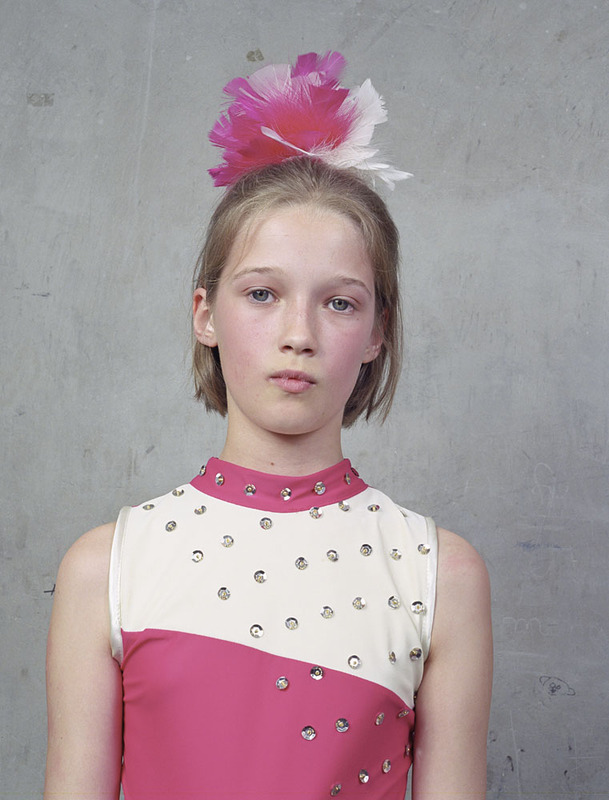 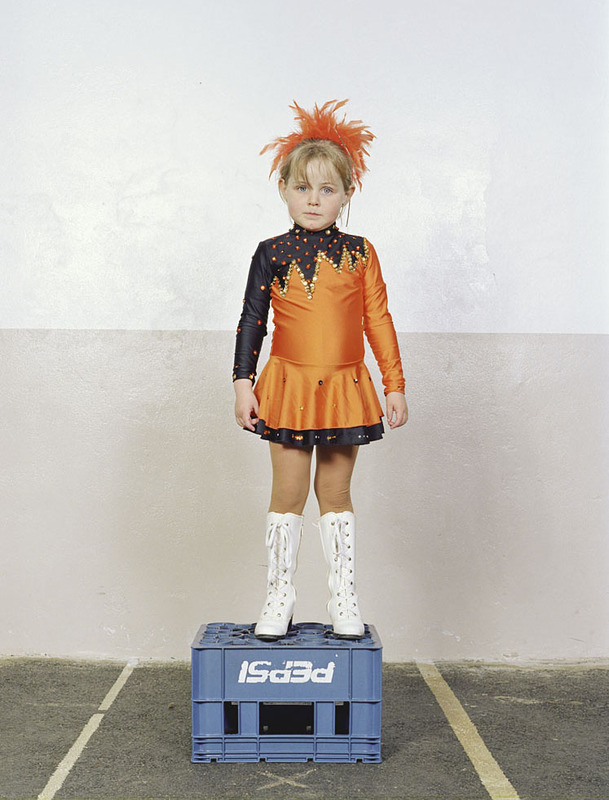 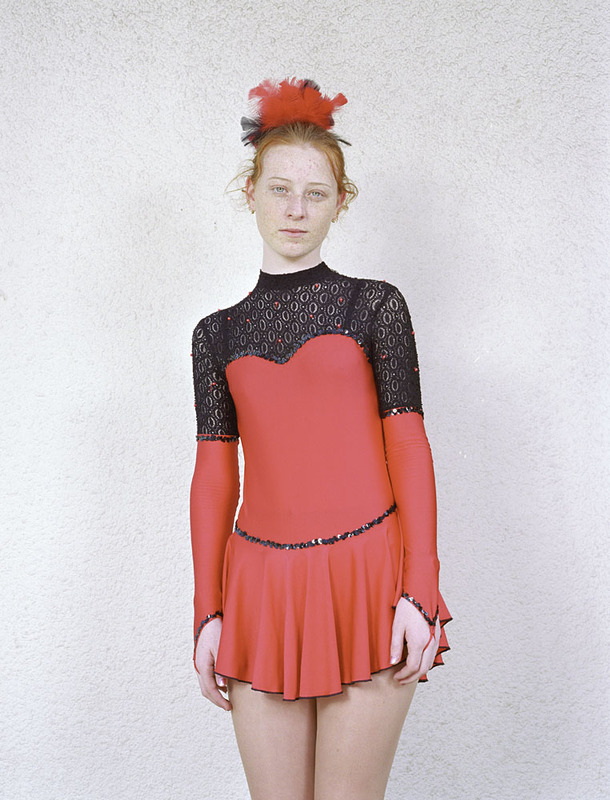 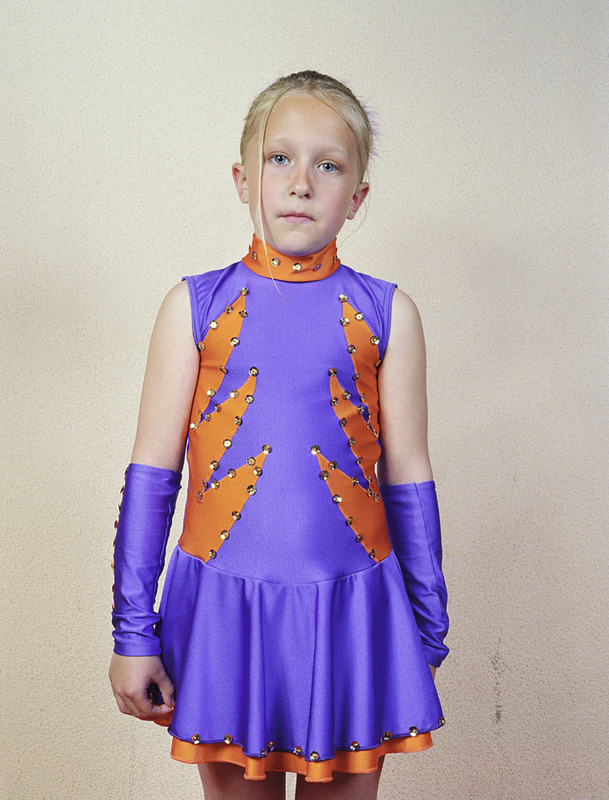 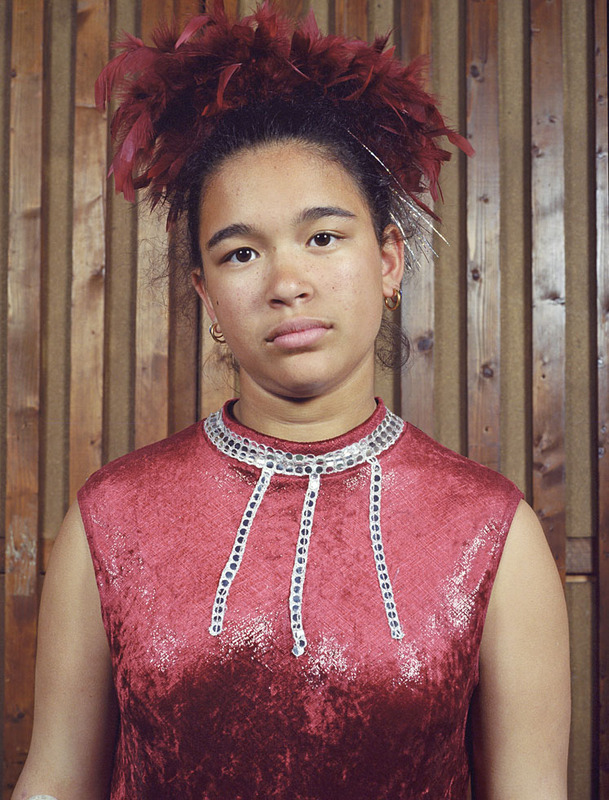 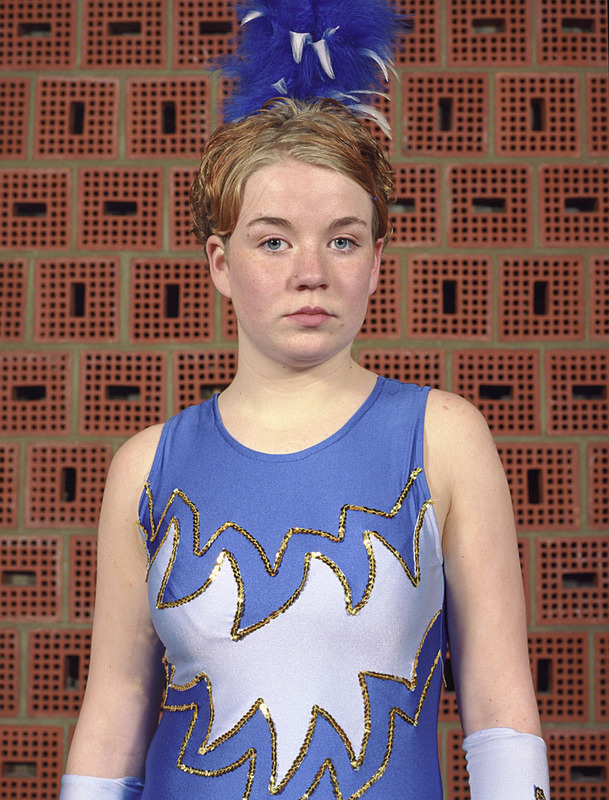 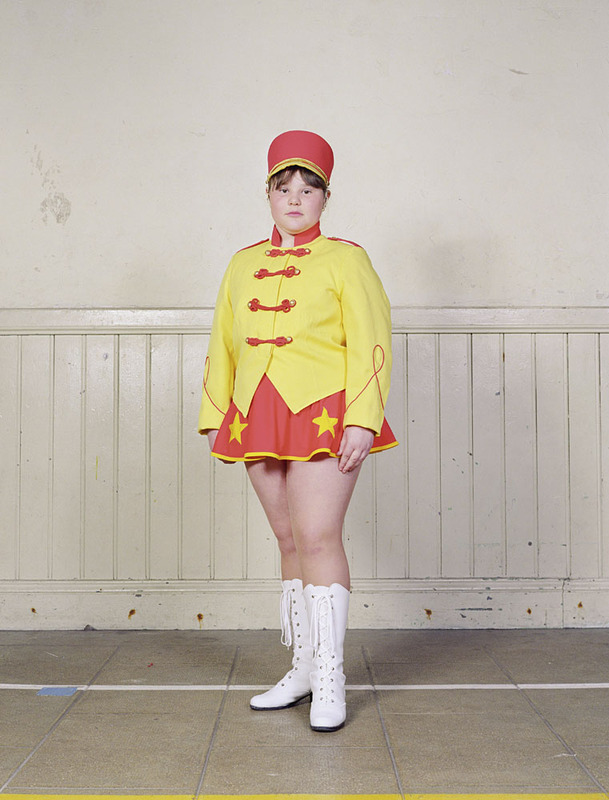 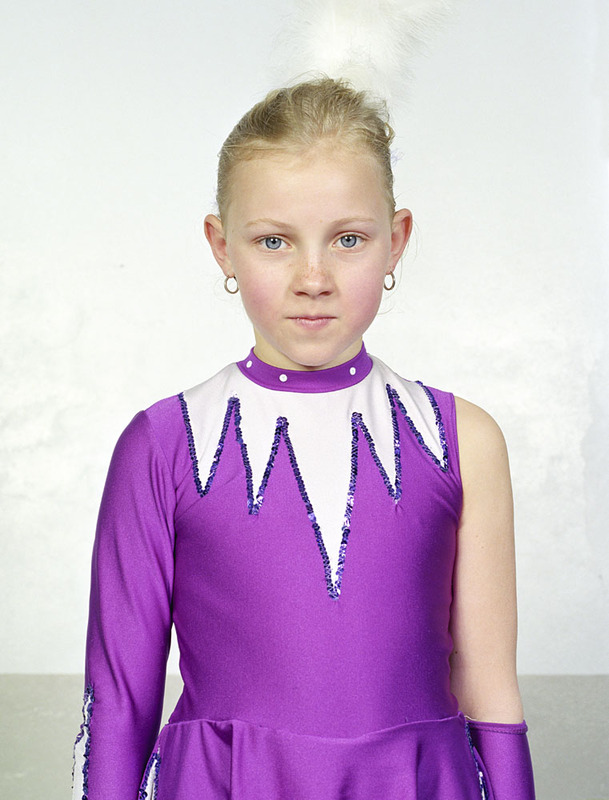 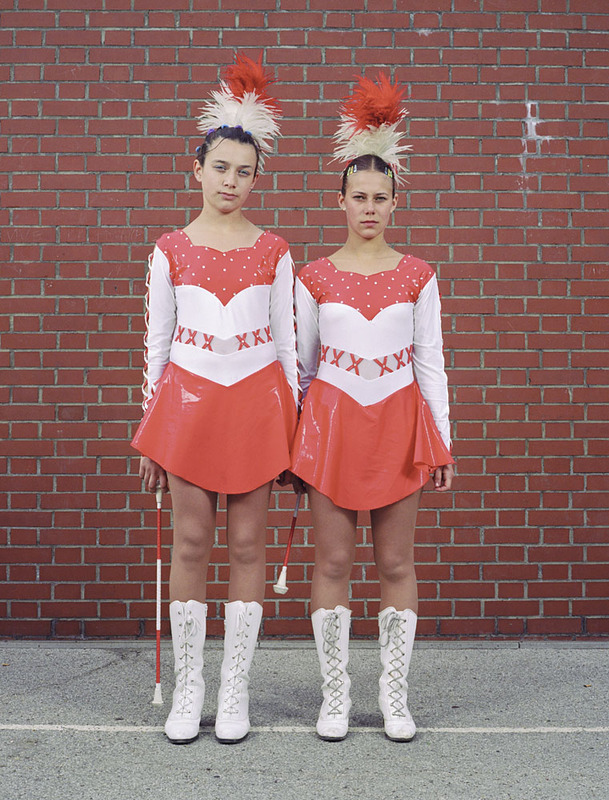 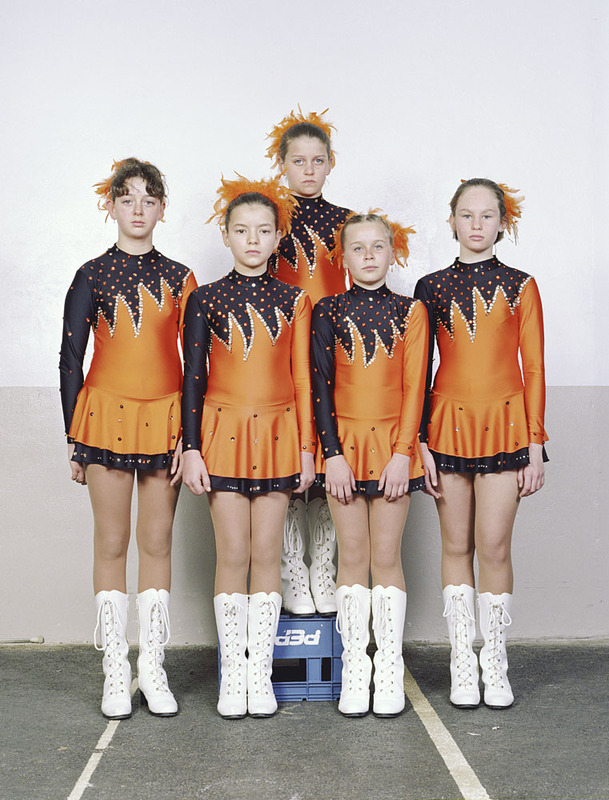 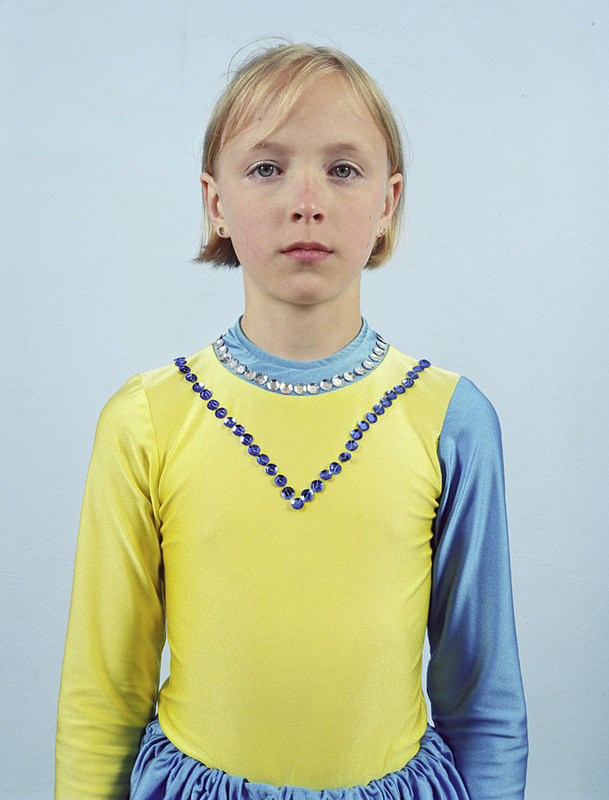 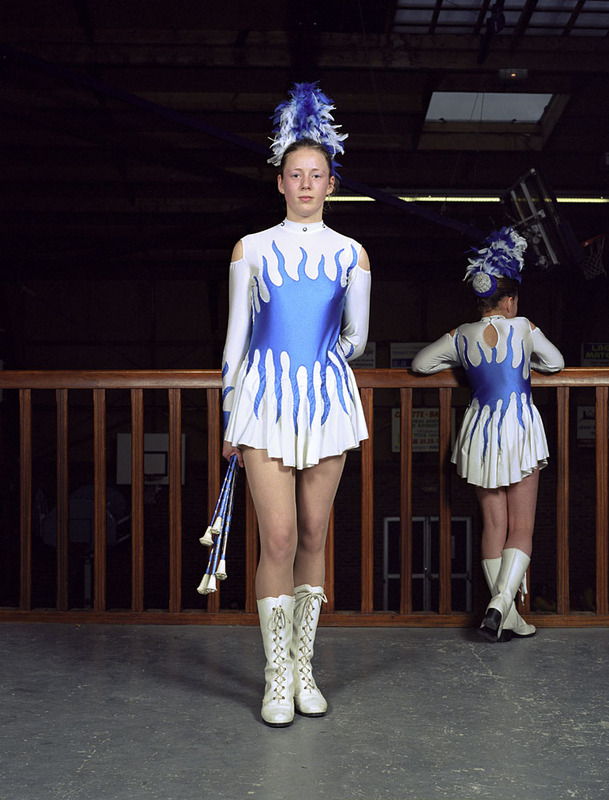 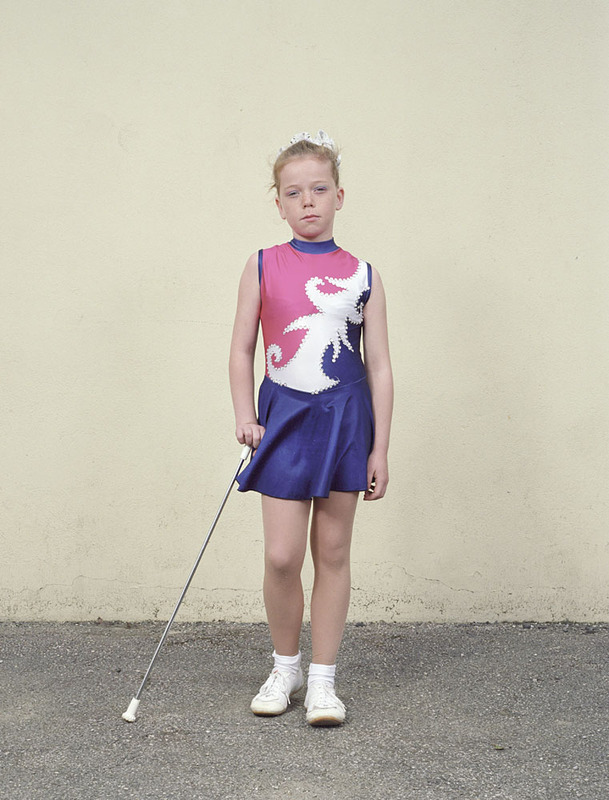 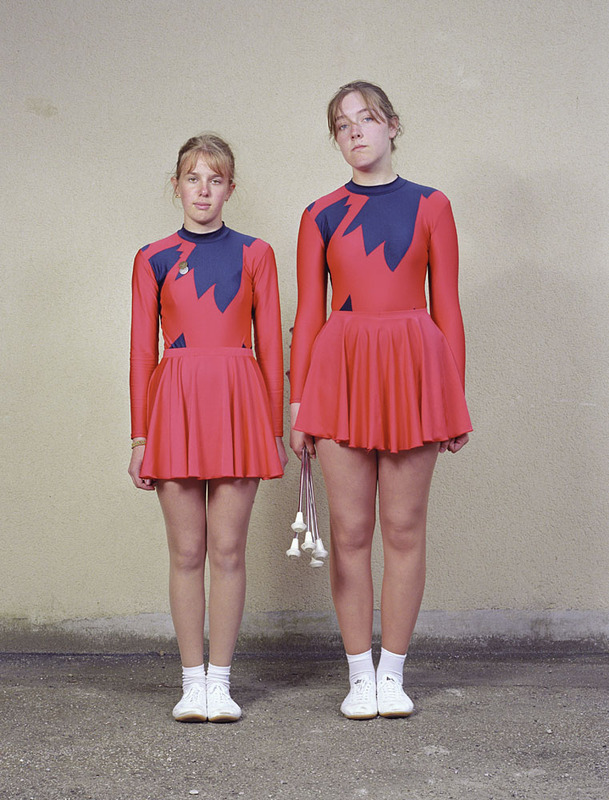 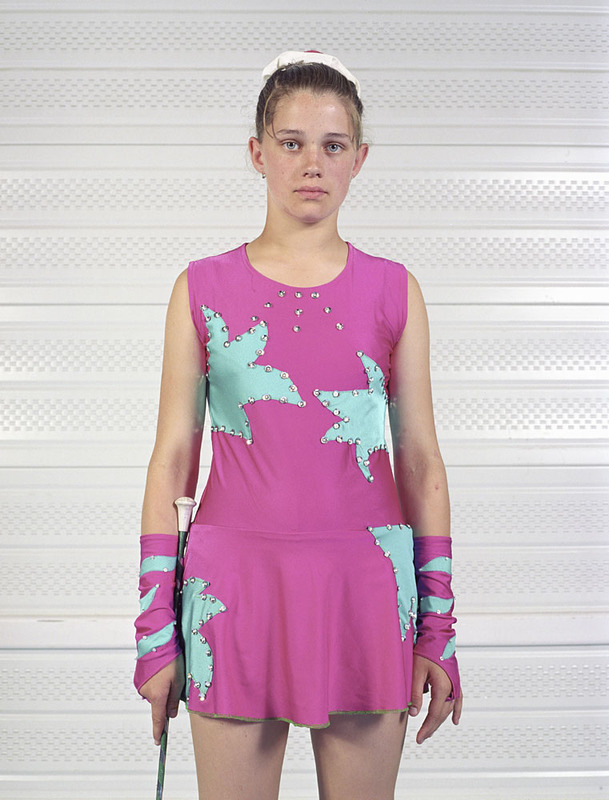 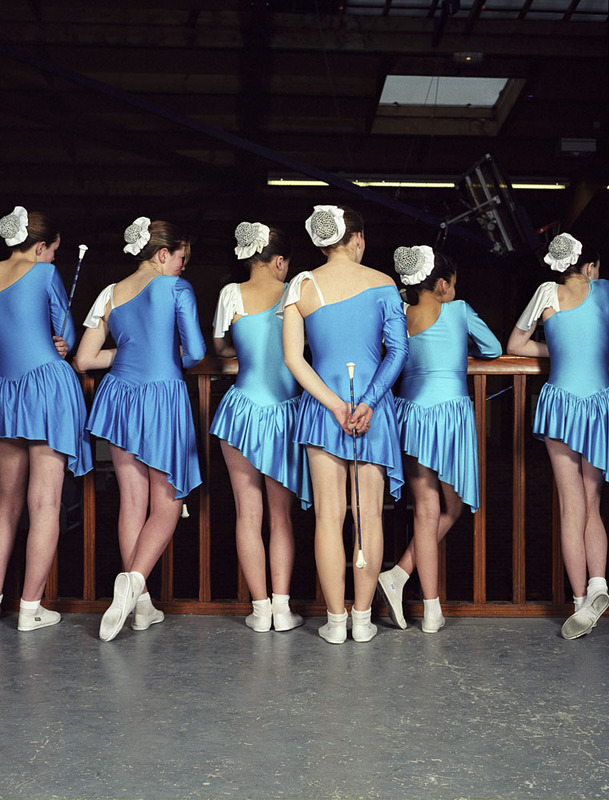 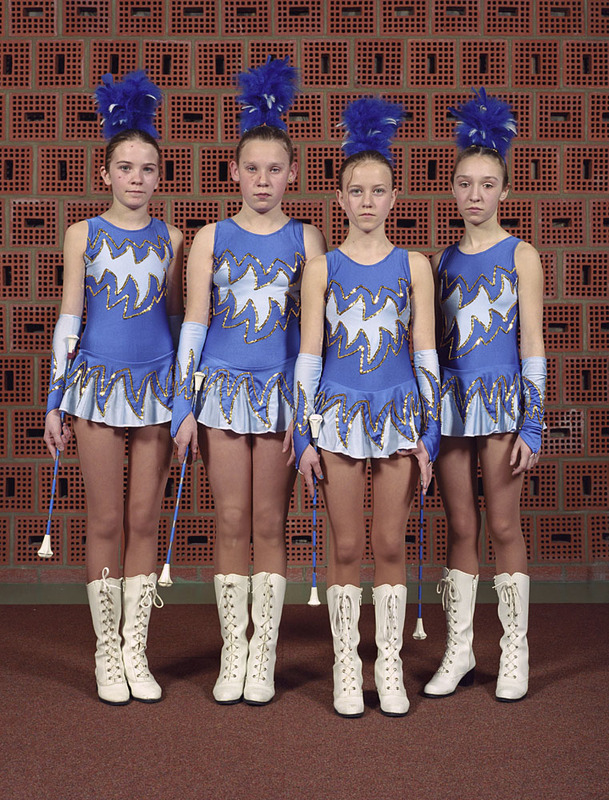 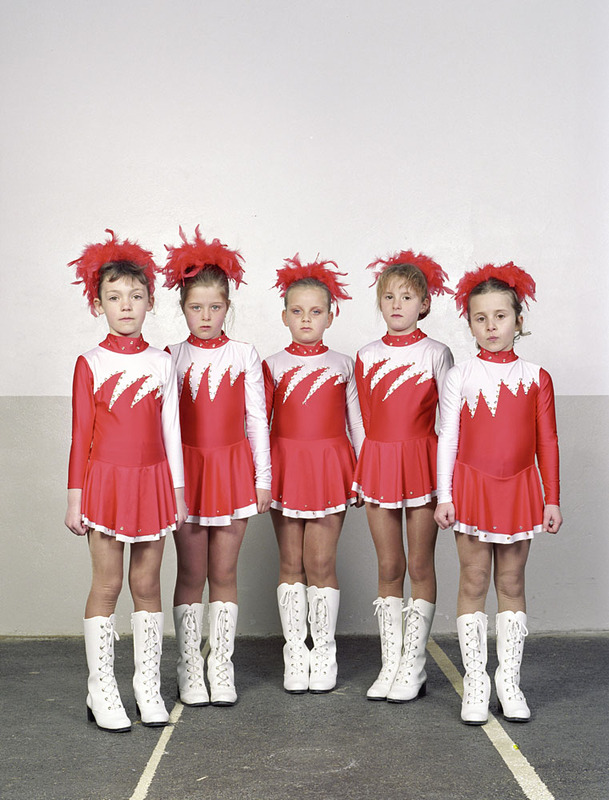 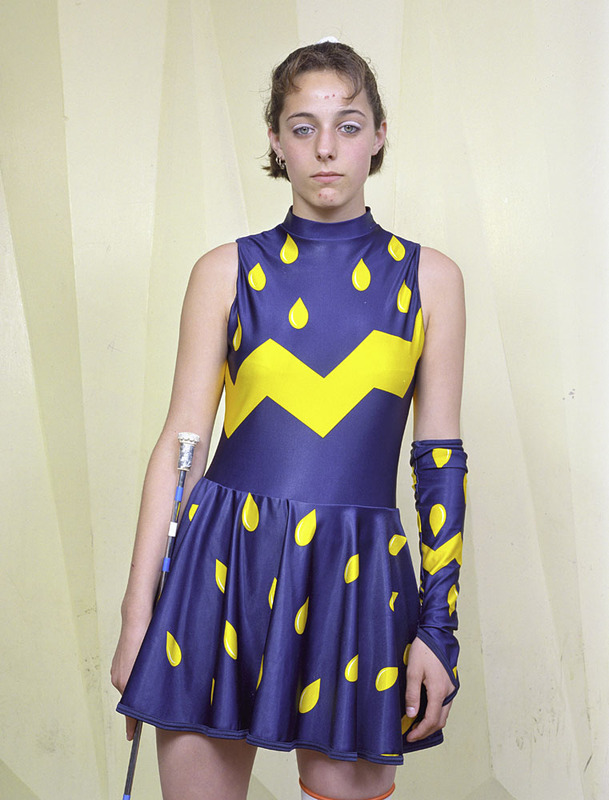 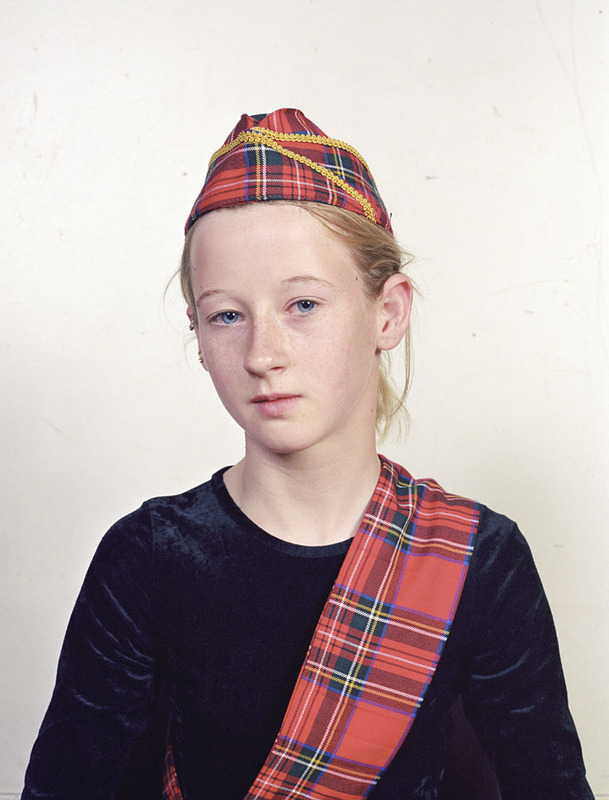 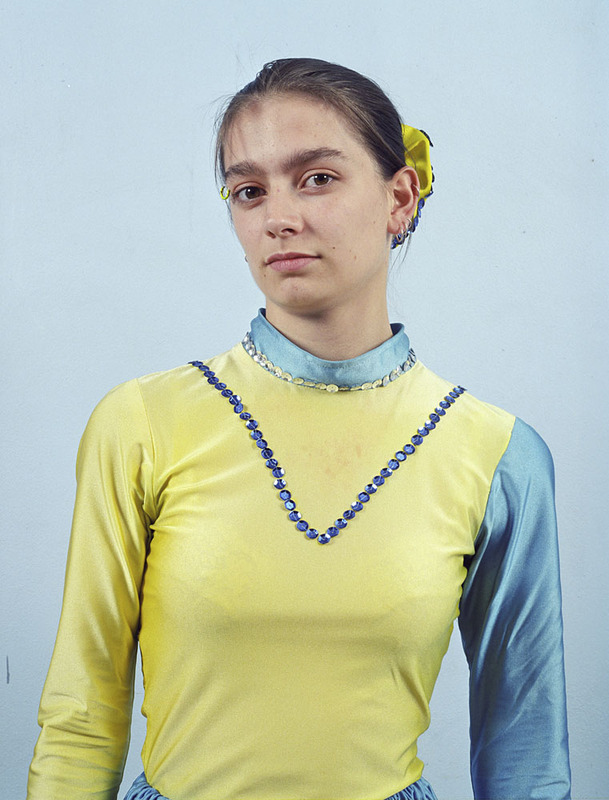 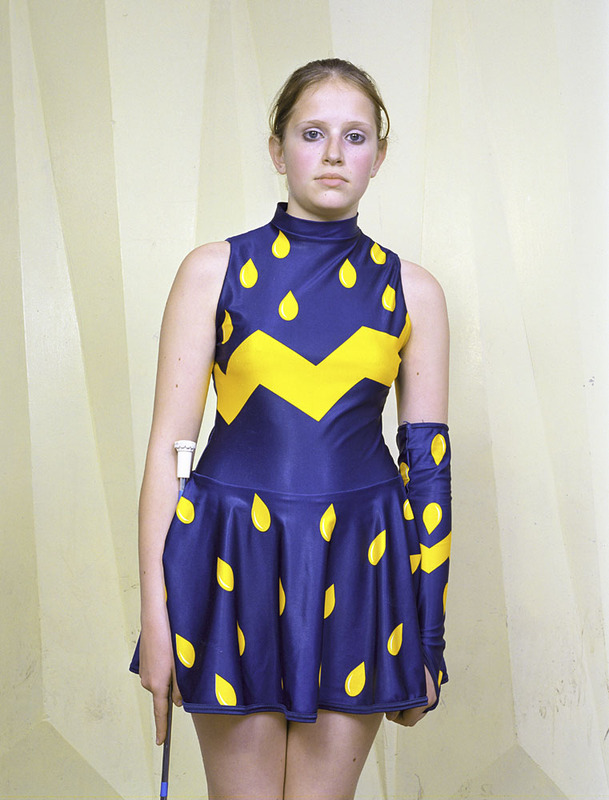 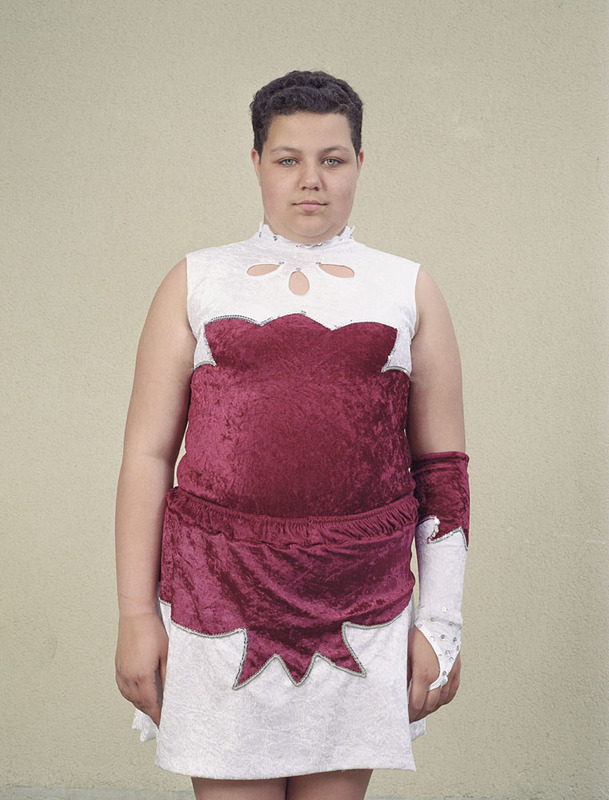 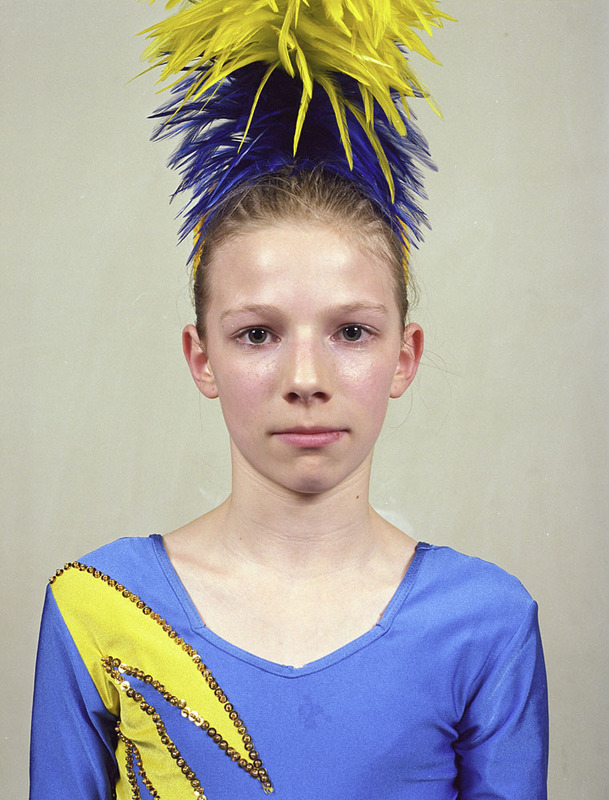 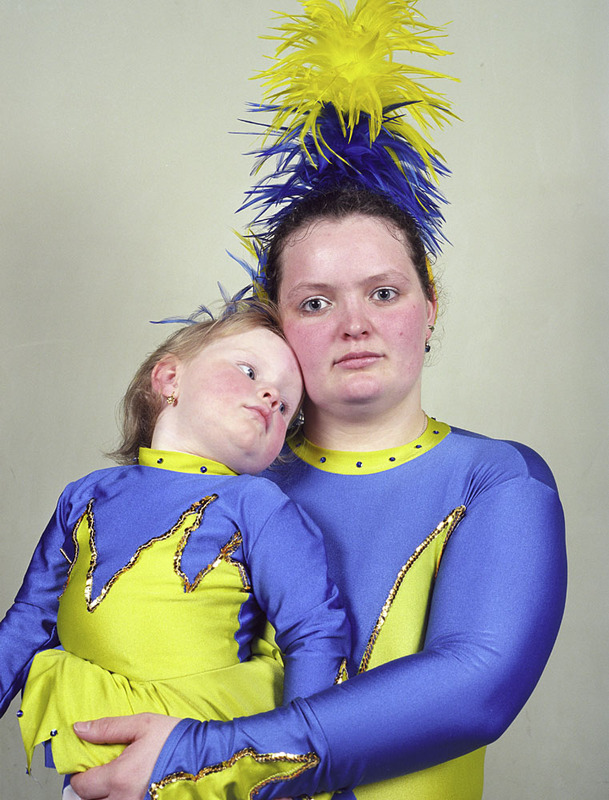 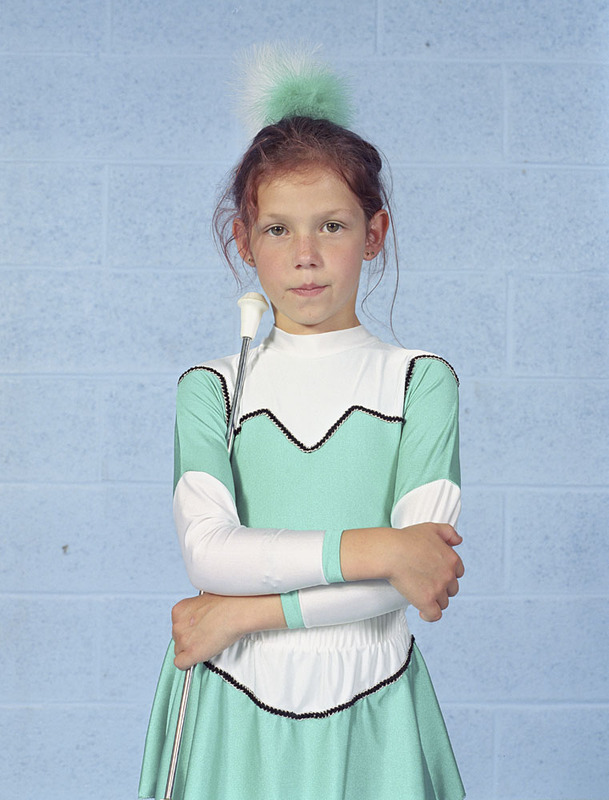 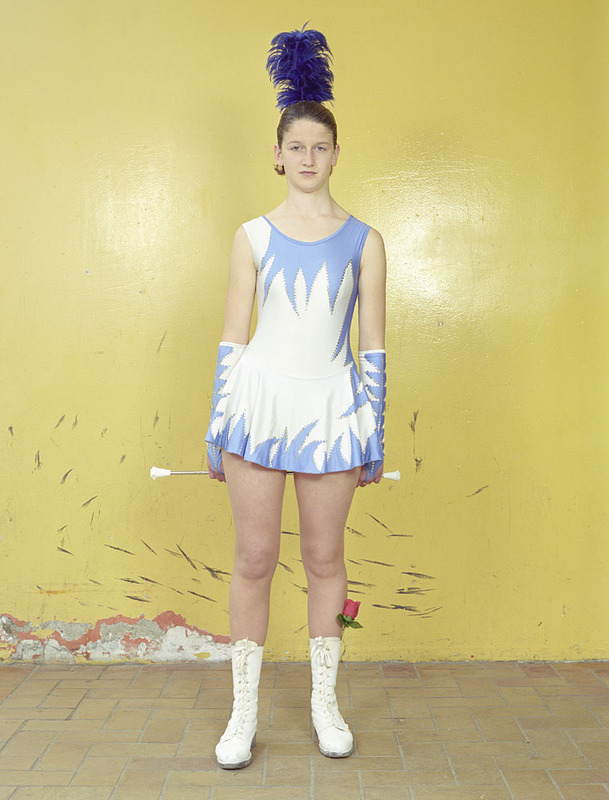 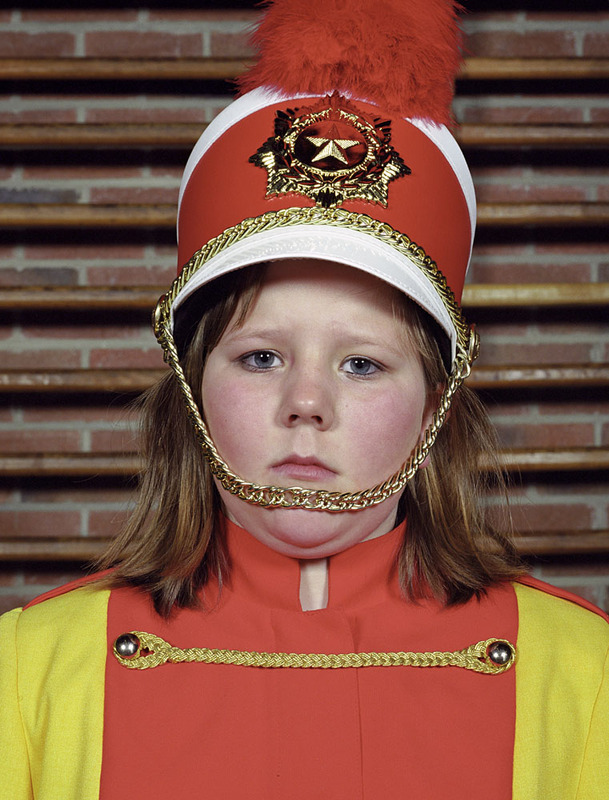 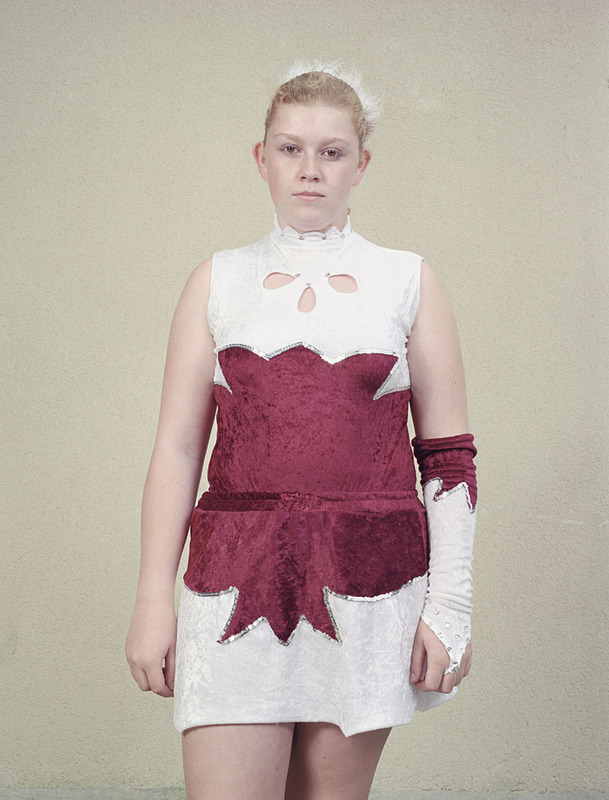 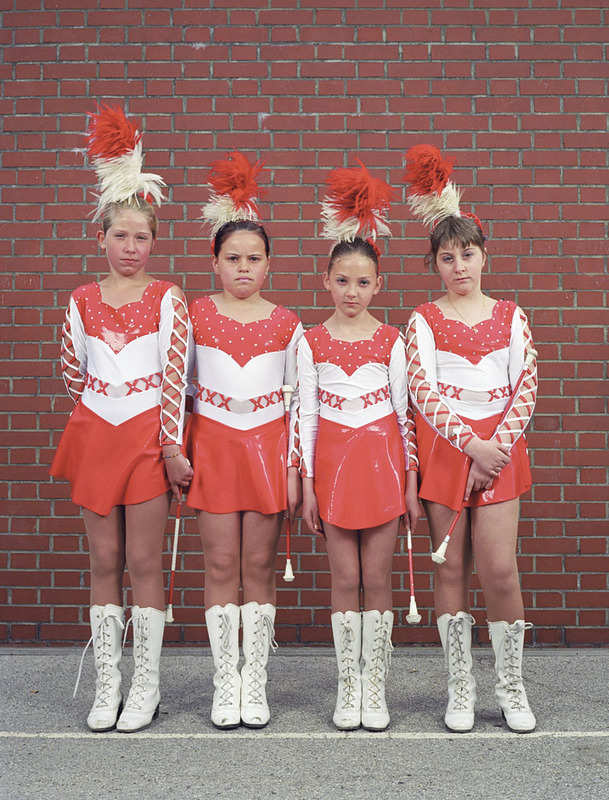 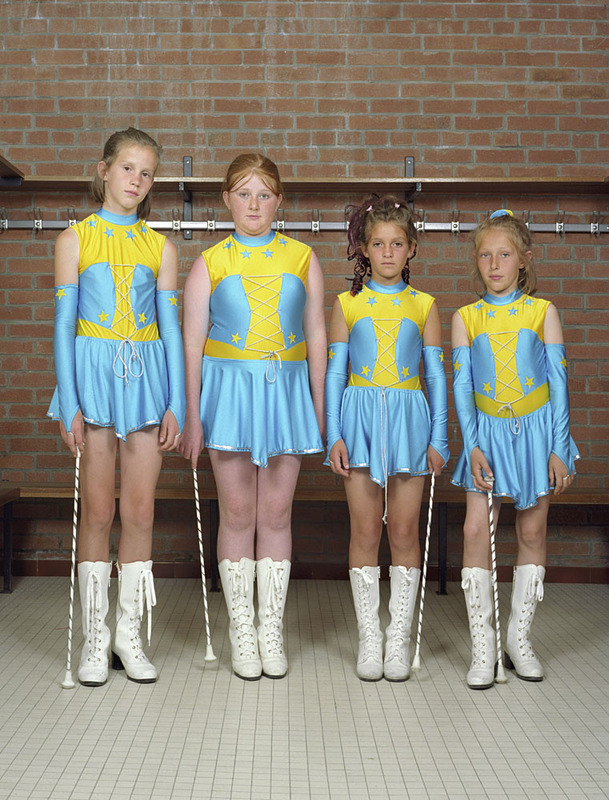 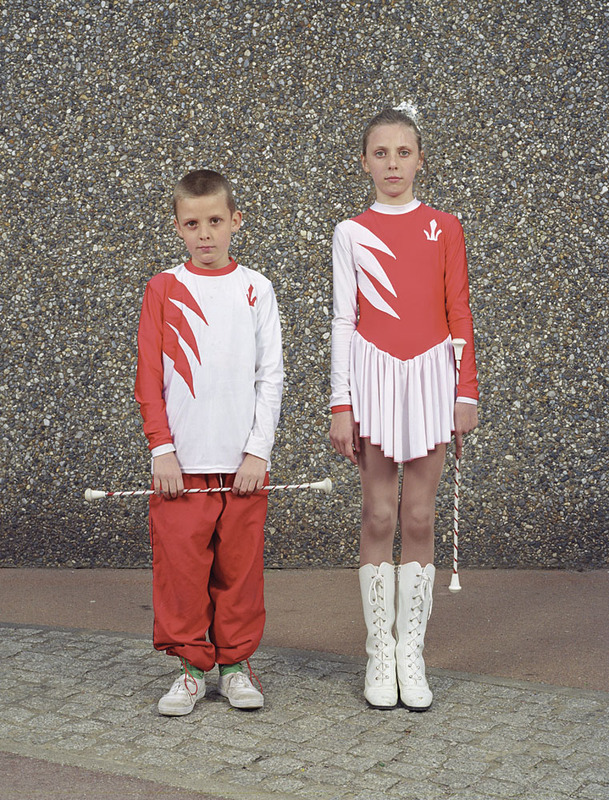 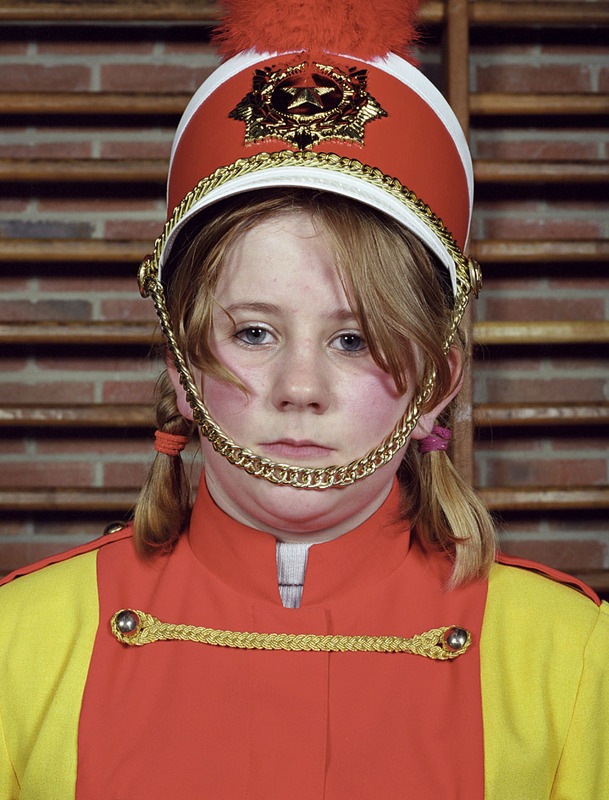 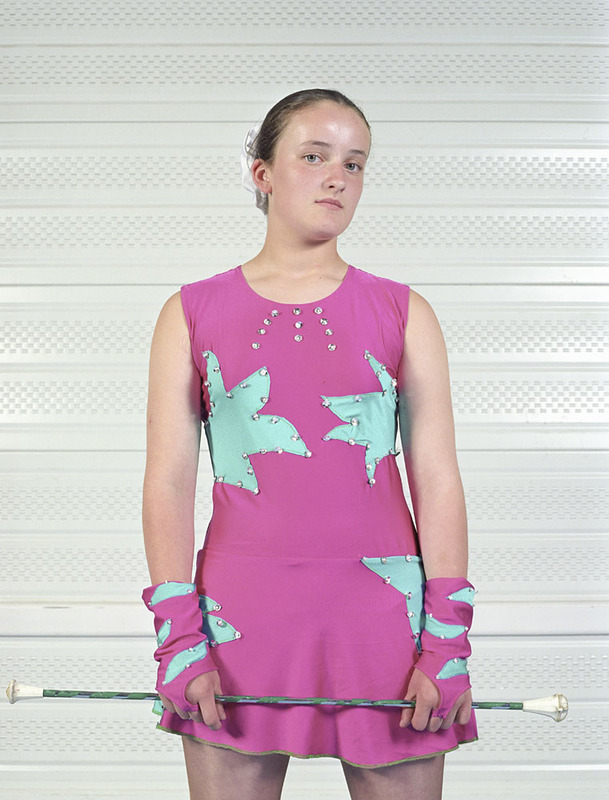 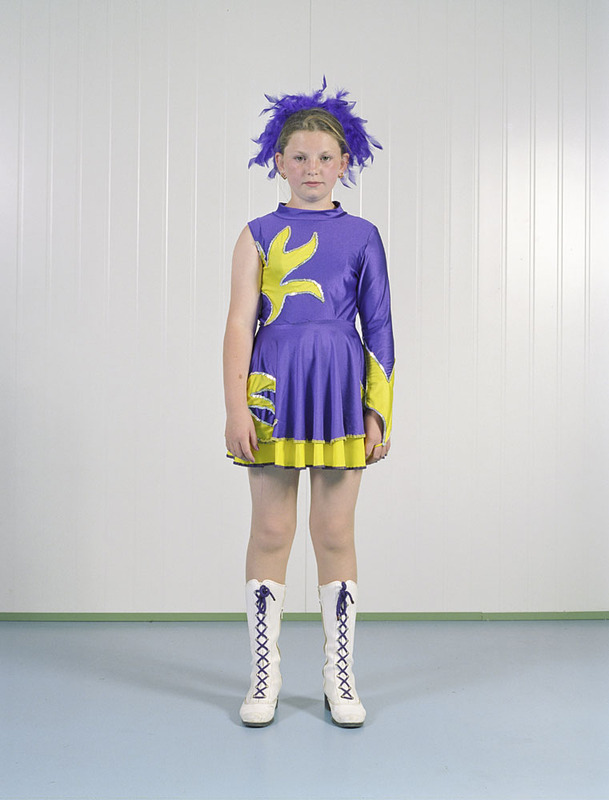 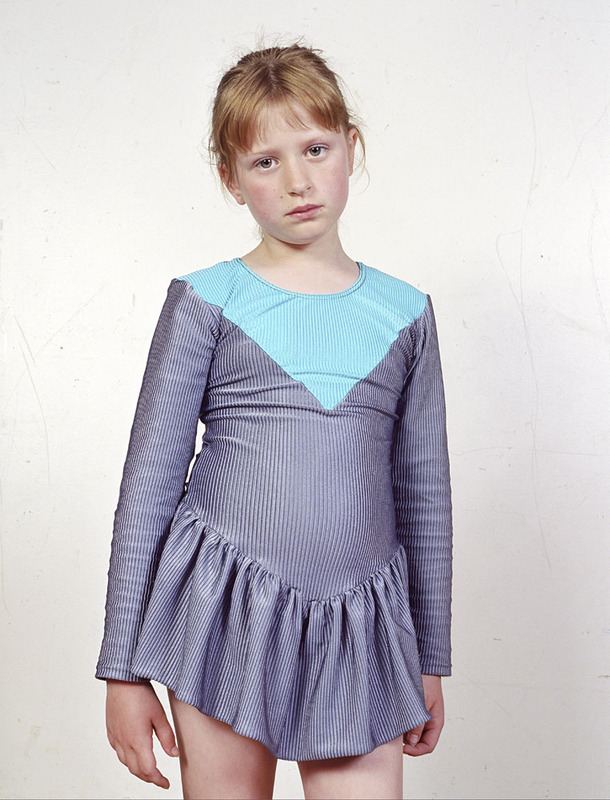 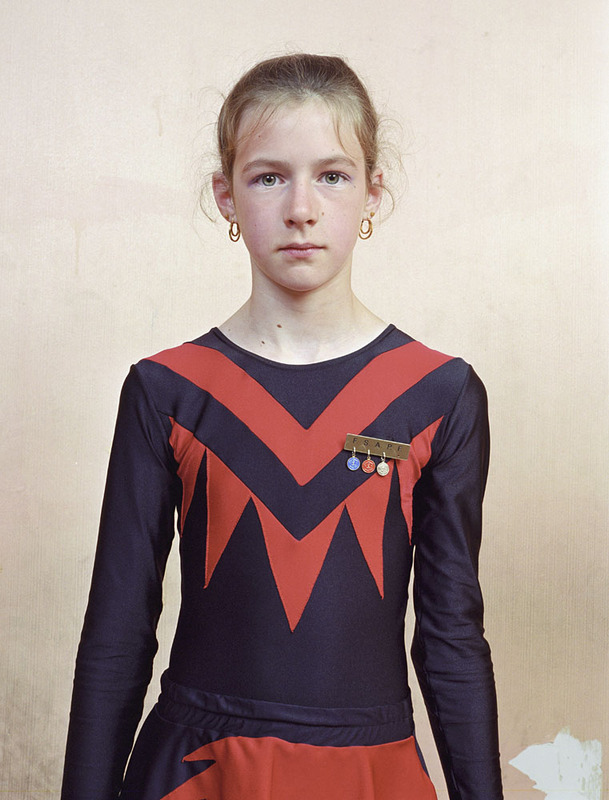 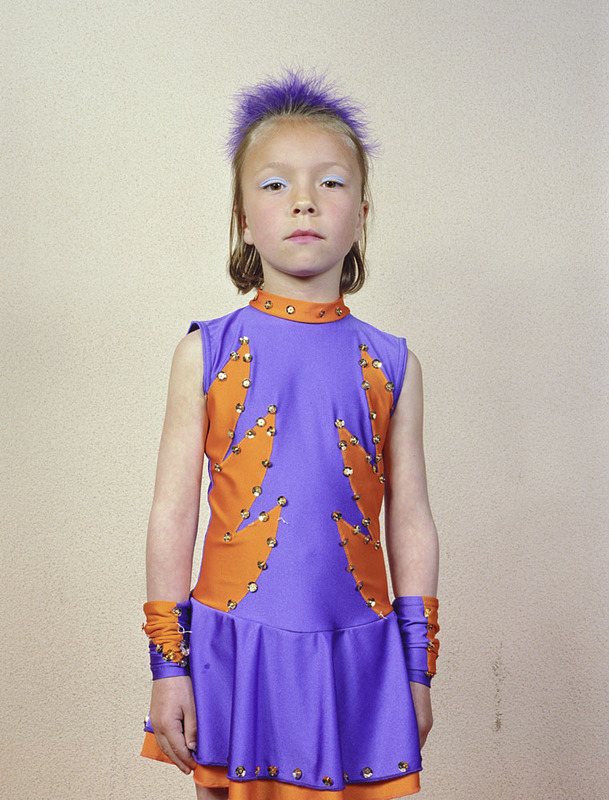 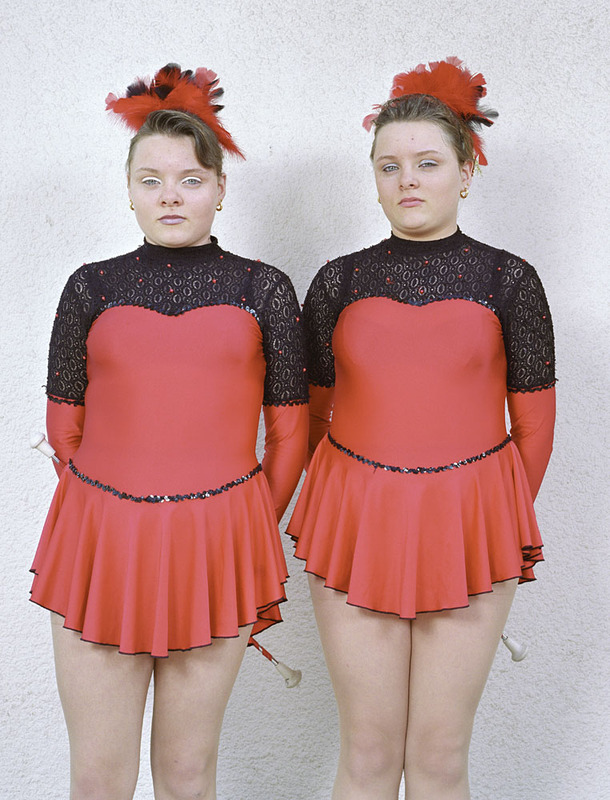 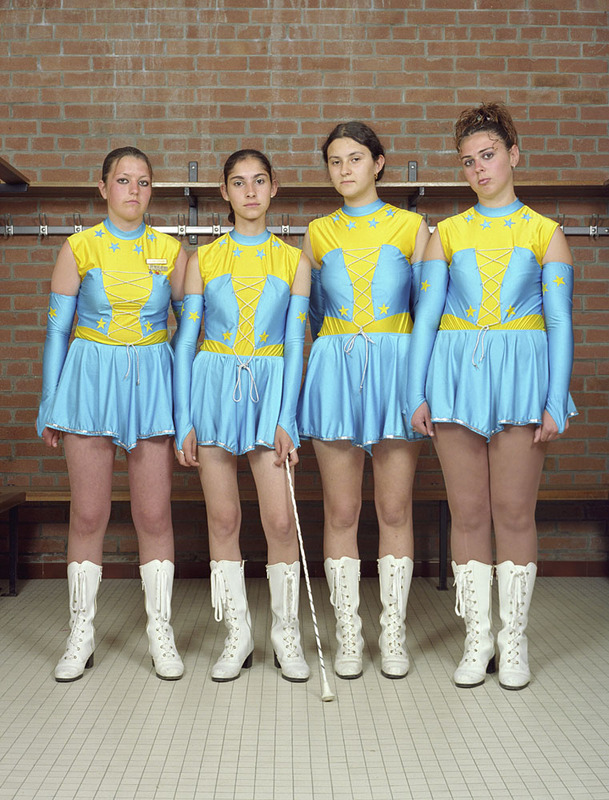 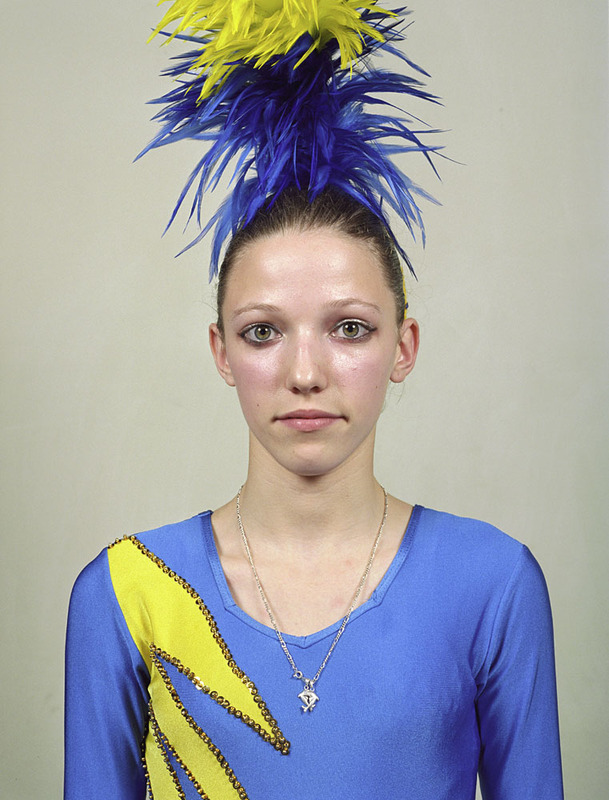 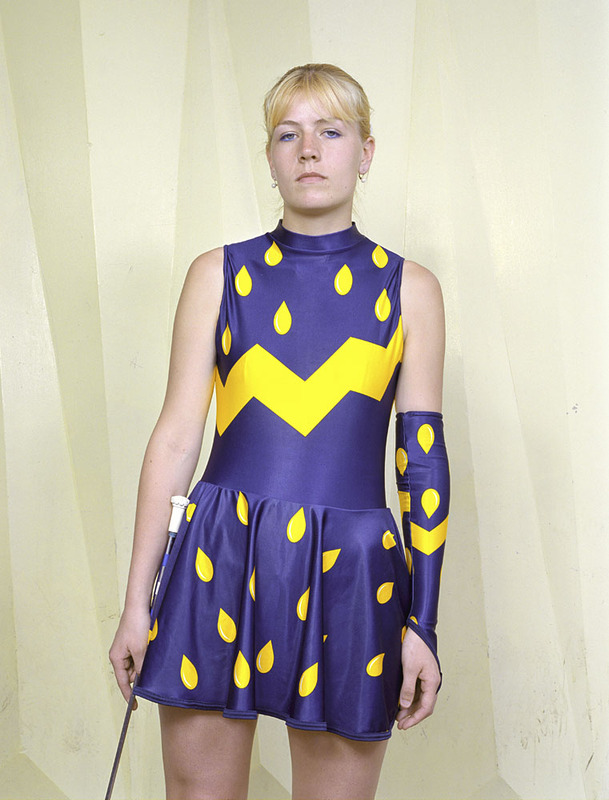 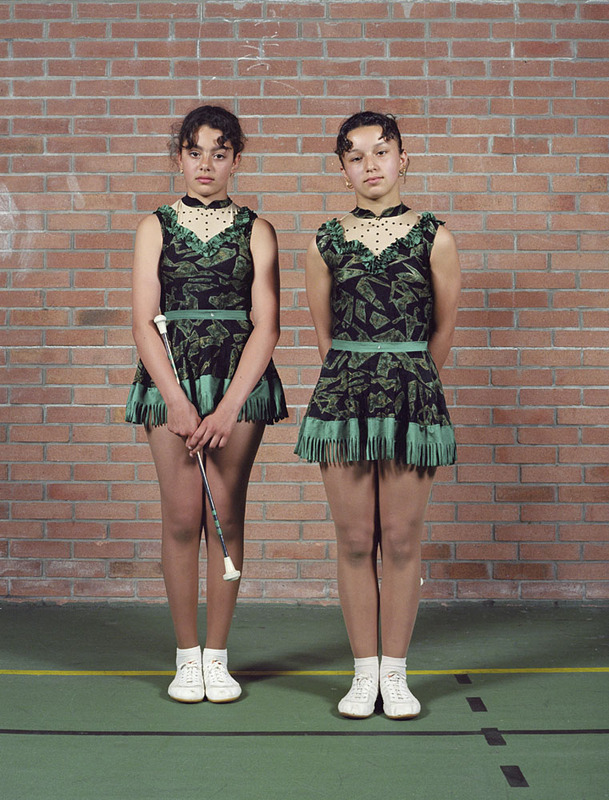 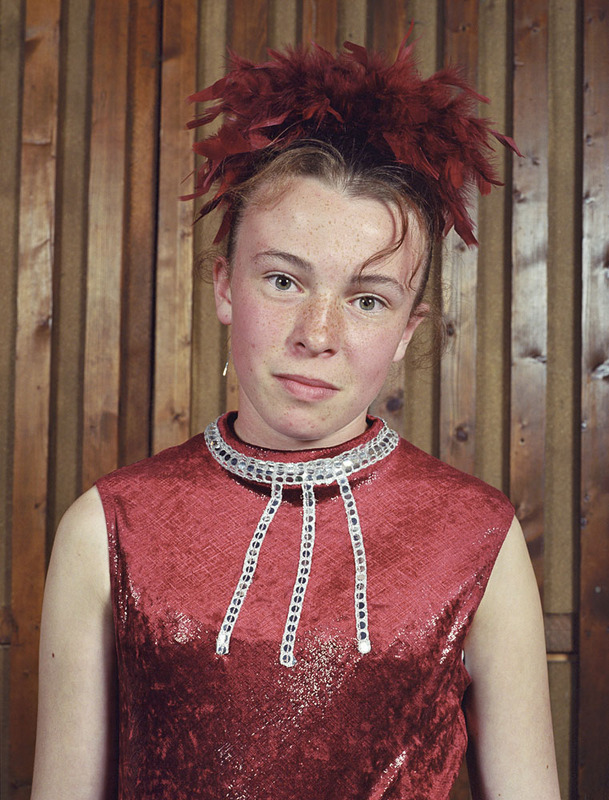 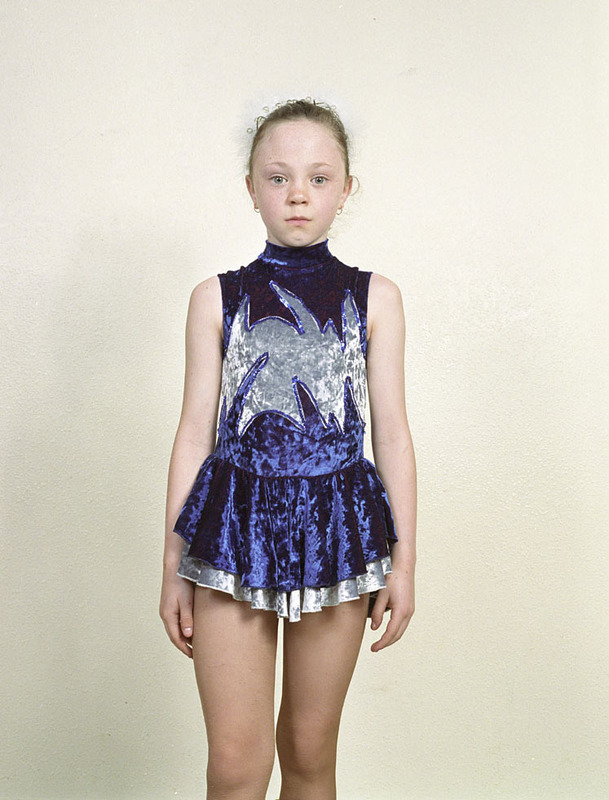 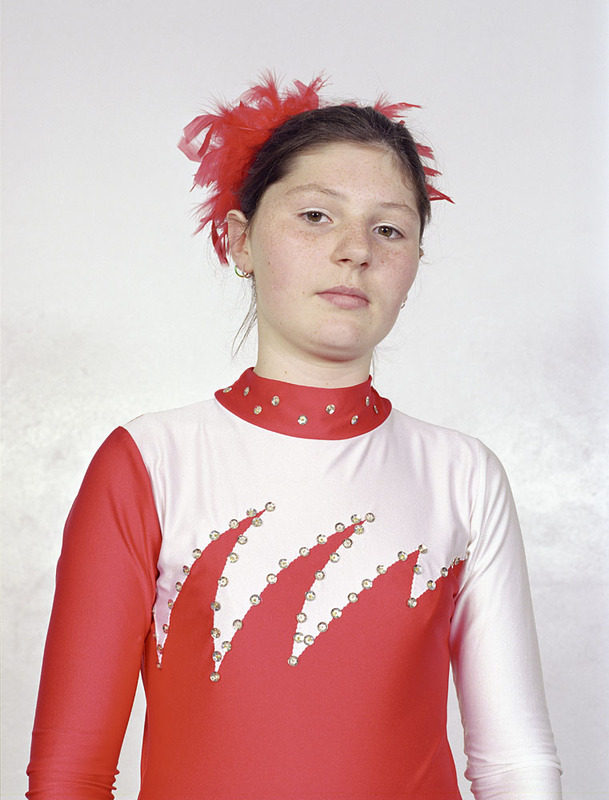 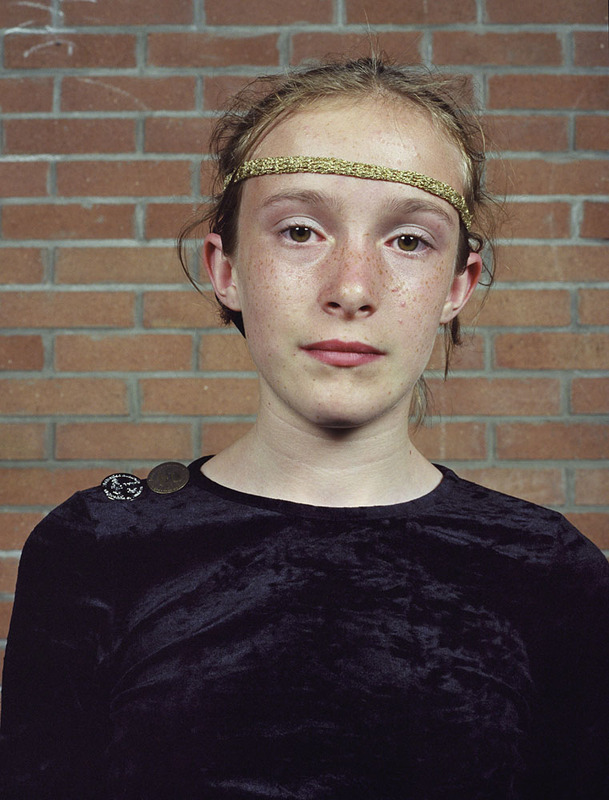 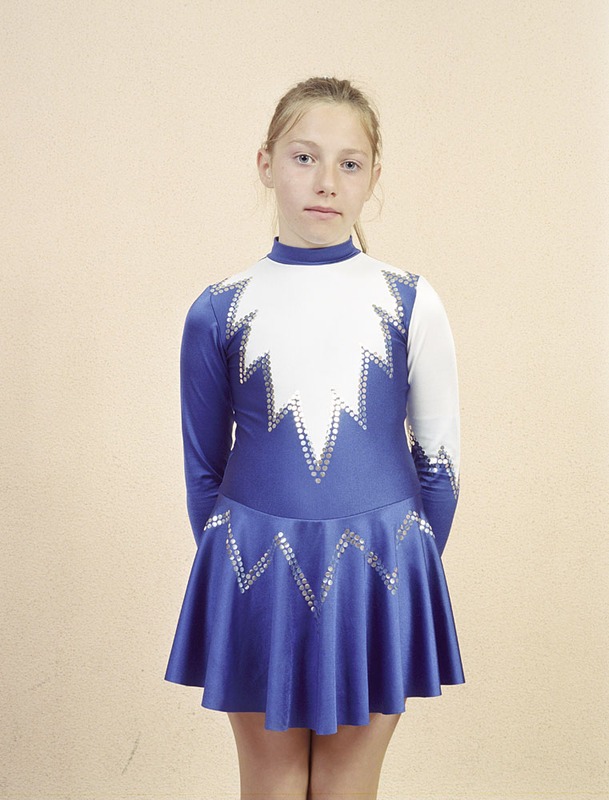 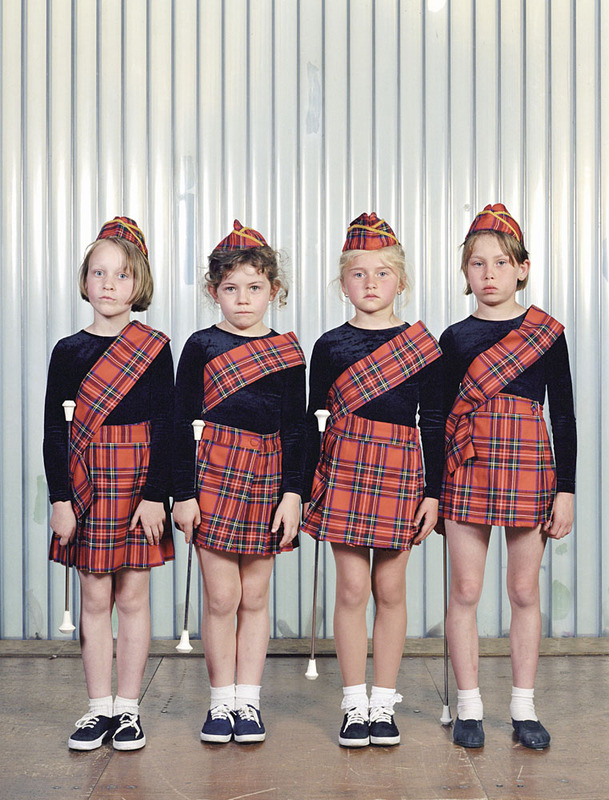 Majorettes was the first of his large-scale series: this particular odyssey involved travelling to 60 clubs in the course of 20 festivals and as many weekends; the 180 photographs he selected were all published in the book which came out in 2001. 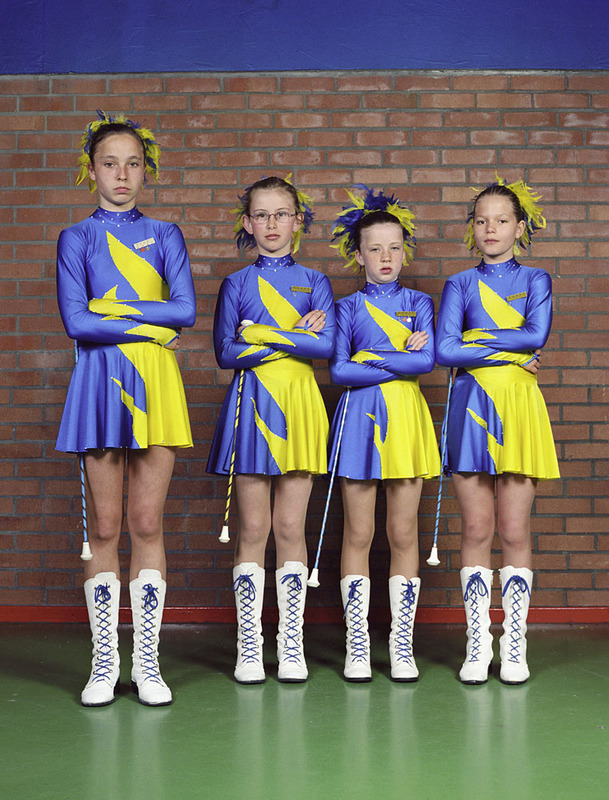 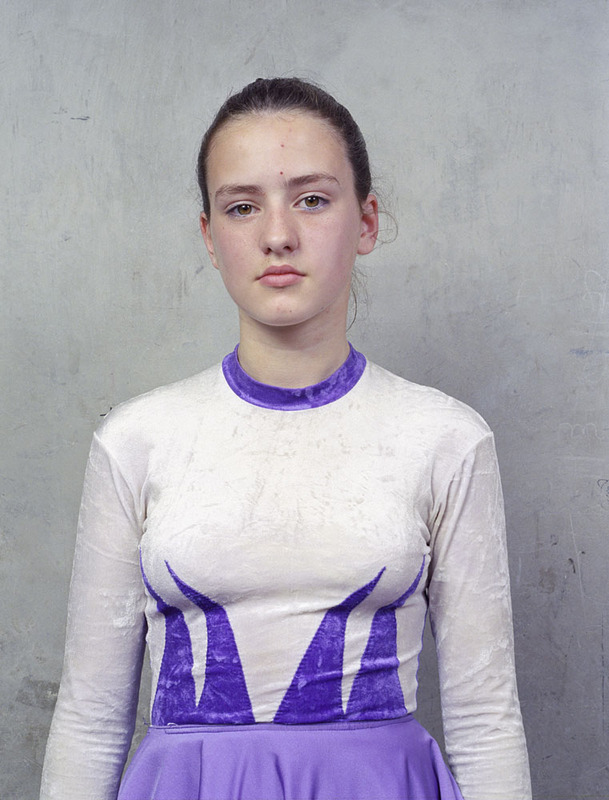 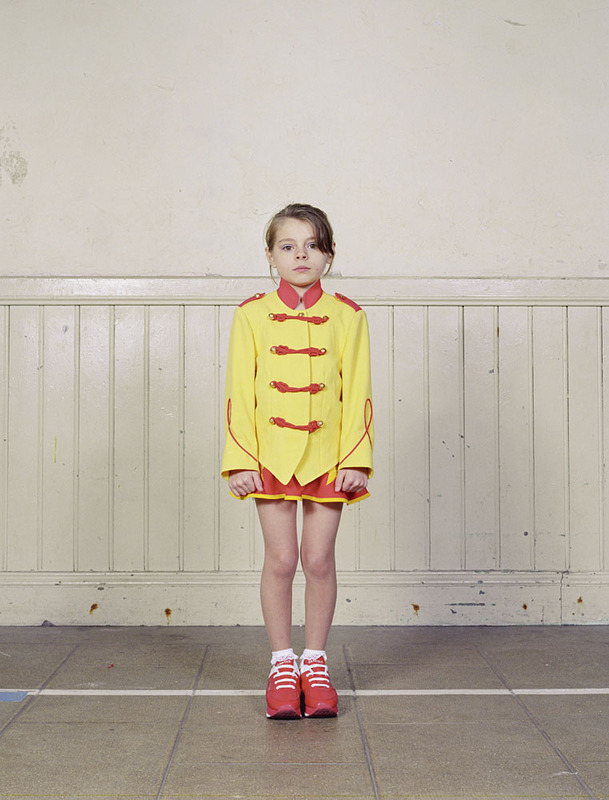 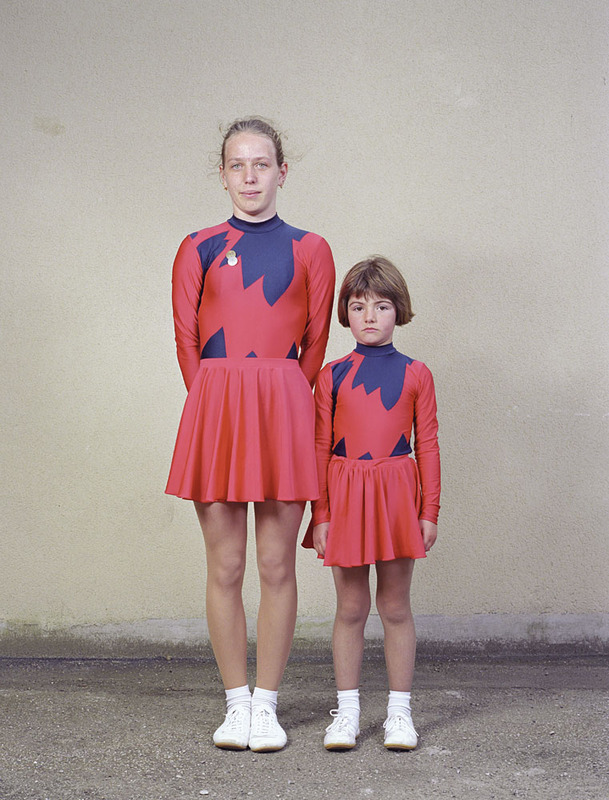 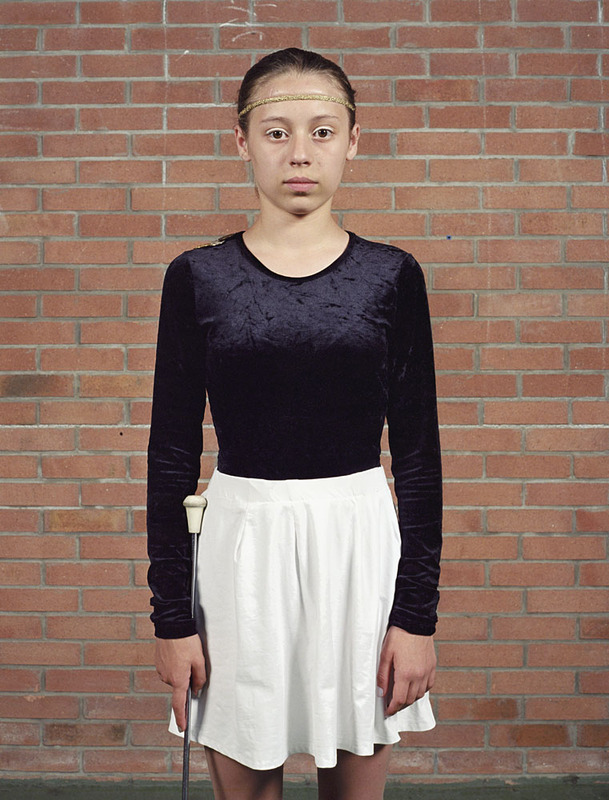 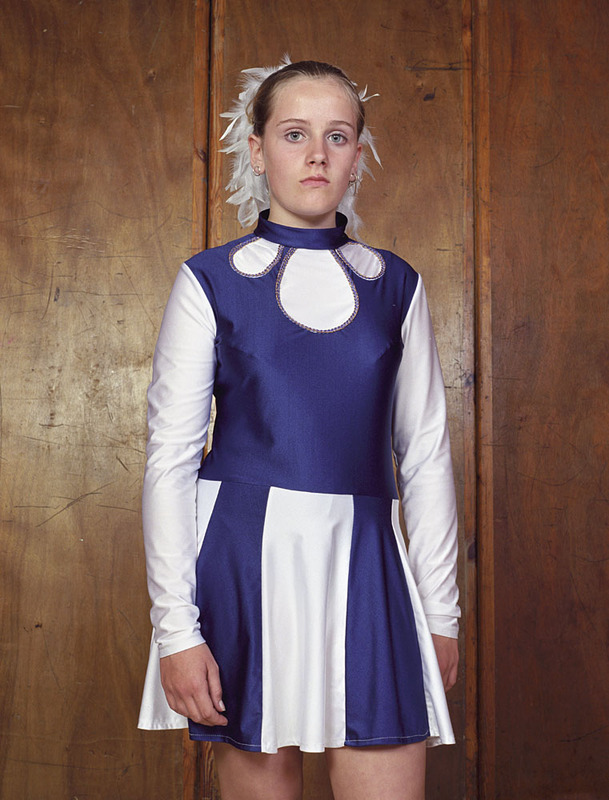 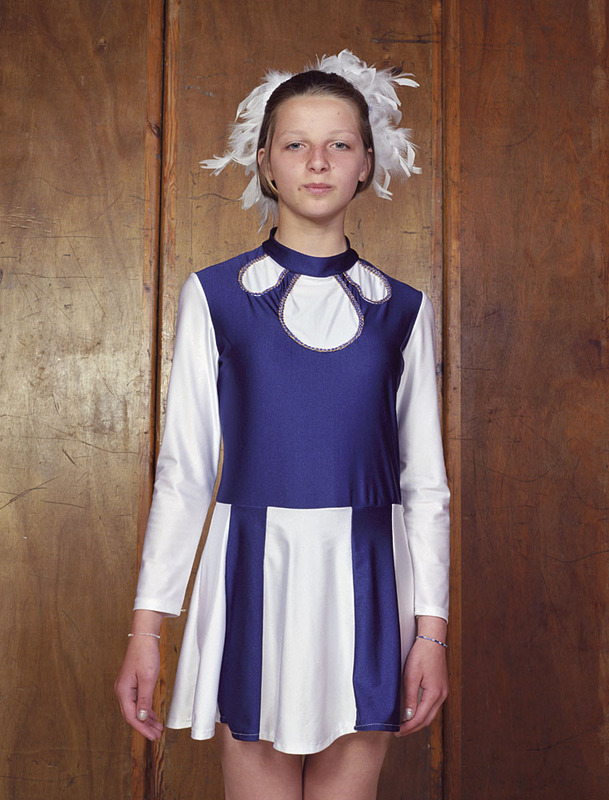 His subjects, all female – children, teenagers, mothers –, pose one at a time in an outfit bearing their club’s colours. 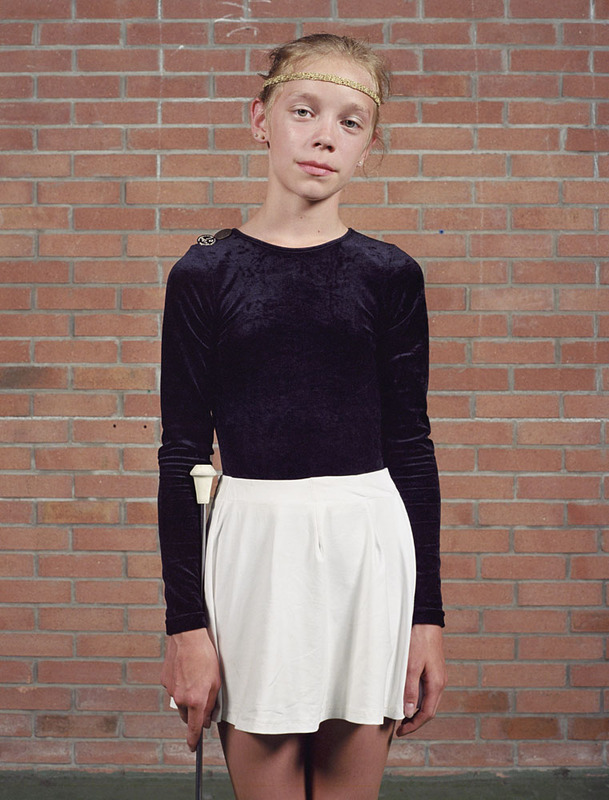 The photographer maintained the protocol he had established with Pattes blanches: a pose facing the camera, a full-length or American foreground shot, double flash lighting and no smiling allowed. 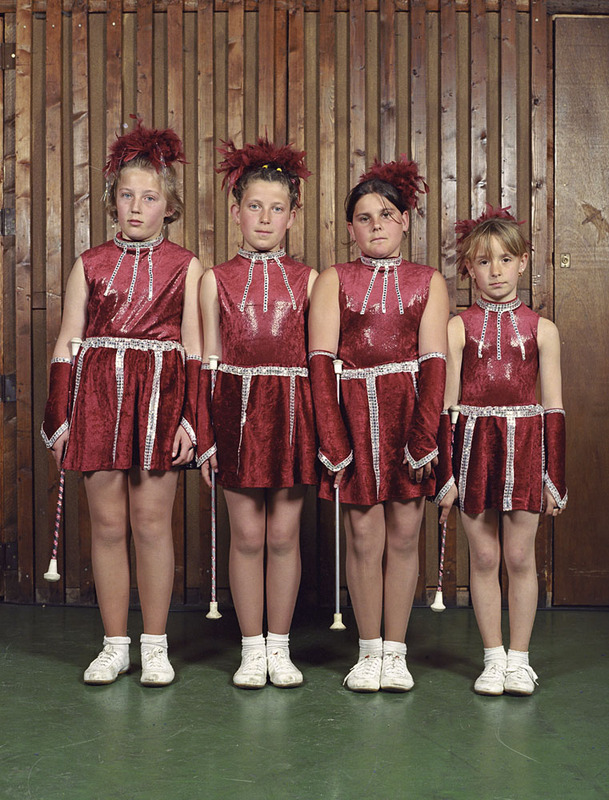 He intentionally removed his majorettes from the context of the festival and the hurly-burly of the festive environment. 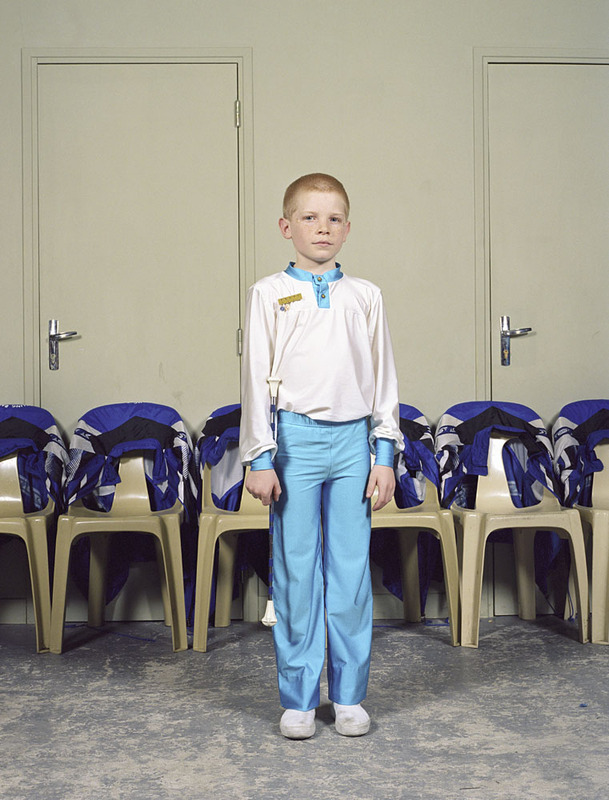 The decor he chose was sports halls or village halls, with the colours and textures of their walls acting as background. 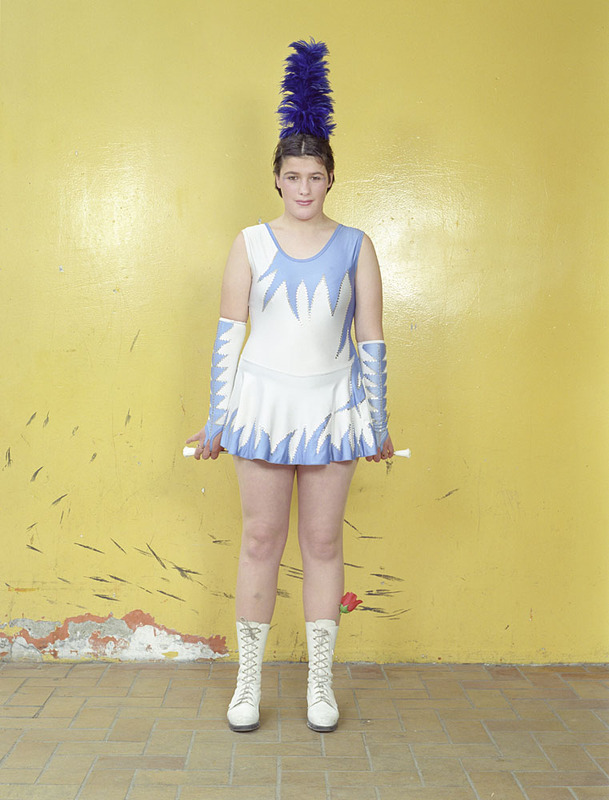 Unlike the previous series, the uniform here is not work clothes but a parade uniform. 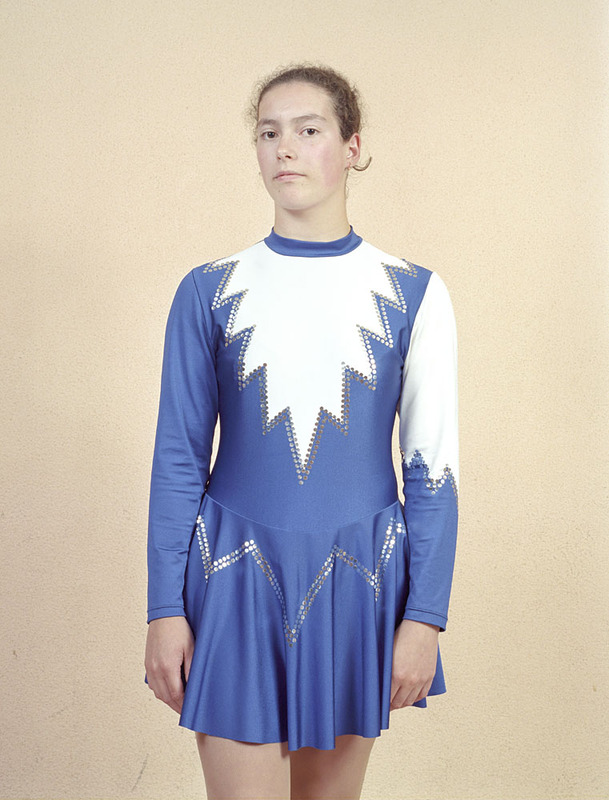 And there was a certain logic, after exploring the world of apprenticeship, sports training, and the military, that he should turn to parades. 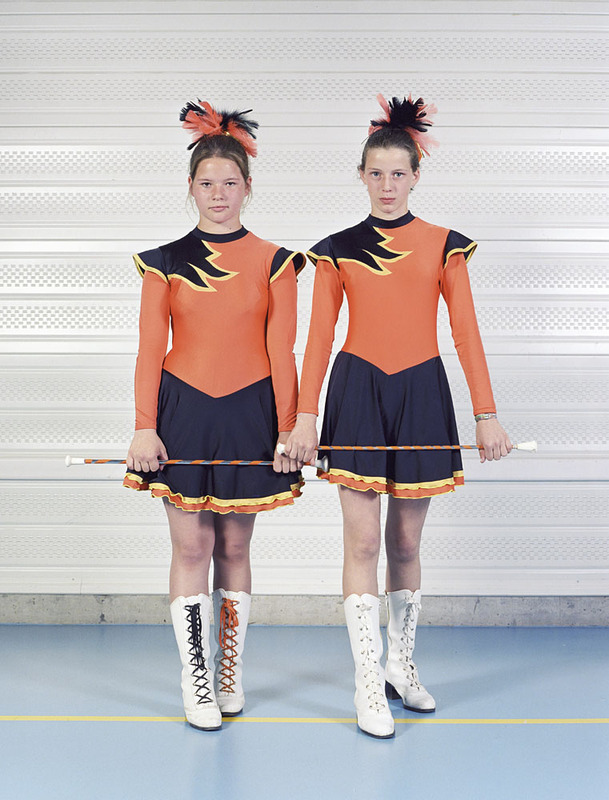 The parade as spectacle and projection of the self is not far removed from even the most serious of uniforms. 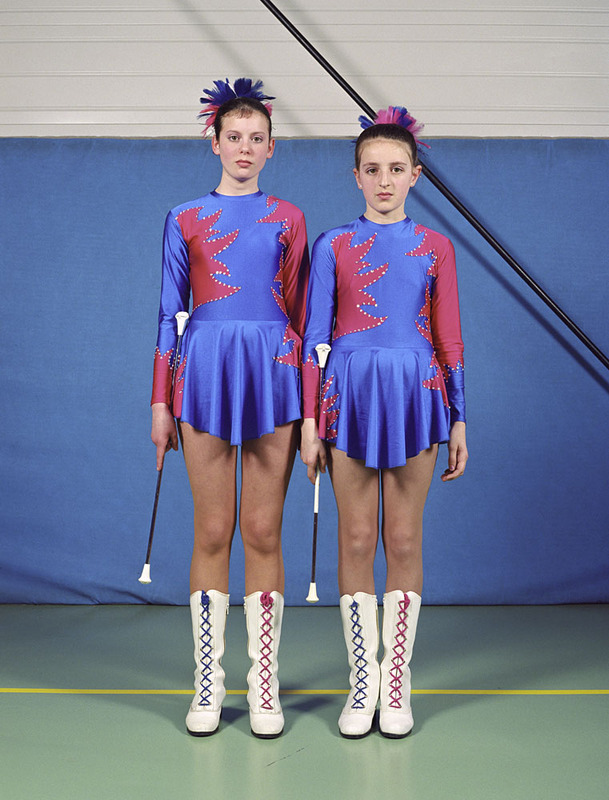 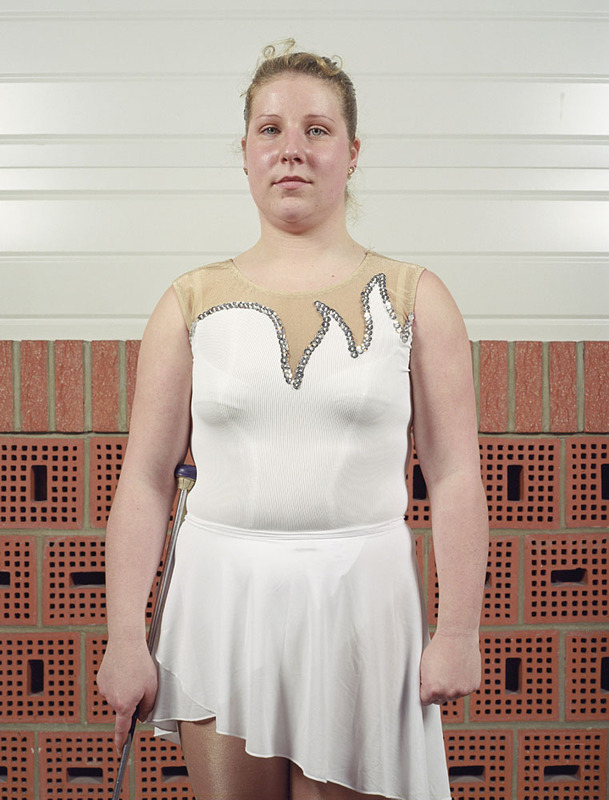 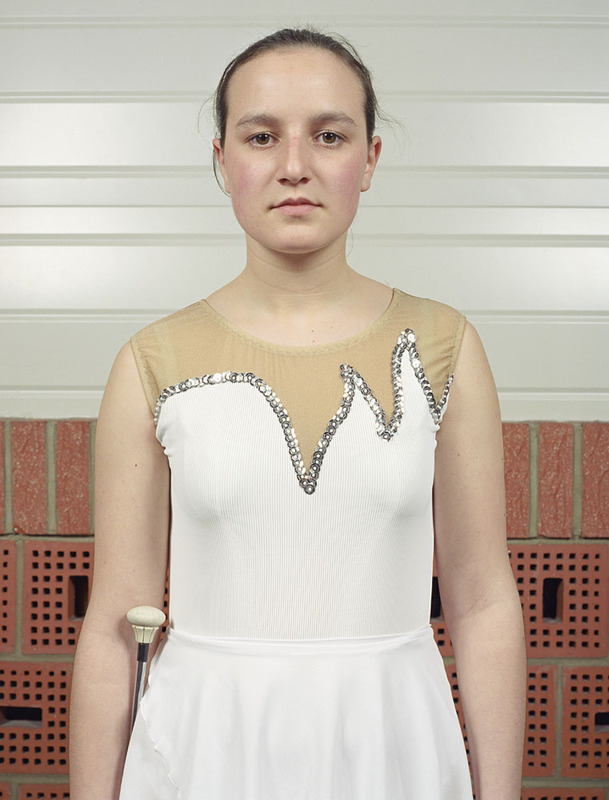 The Majorettes series prefigures later series such as L.12.12, Wilder Mann and Bretonnes: that is to say photographic edifices constructed using an approach that resembles, in the amount of territory covered and the number of shots accumulated, a photographic campaign.